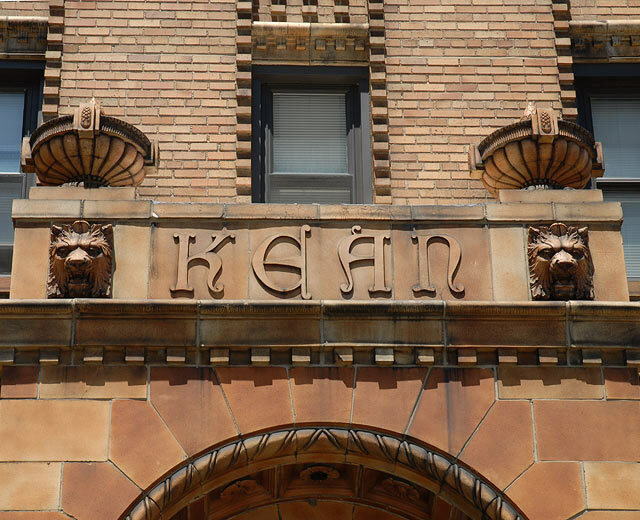 Flanked by lions, the Kean name is emblazoned above the entrance to the Detroit Beauty. 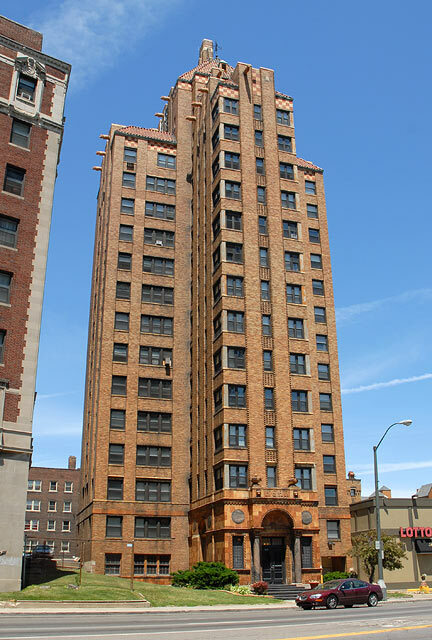 Rising majestically above East Jefferson Avenue, the Kean is still occupied, a striking contrast from its sad sister, Lee Plaza on West Grand Blvd. whose lions were stripped by scavengers and copper roof stolen by scrappers. 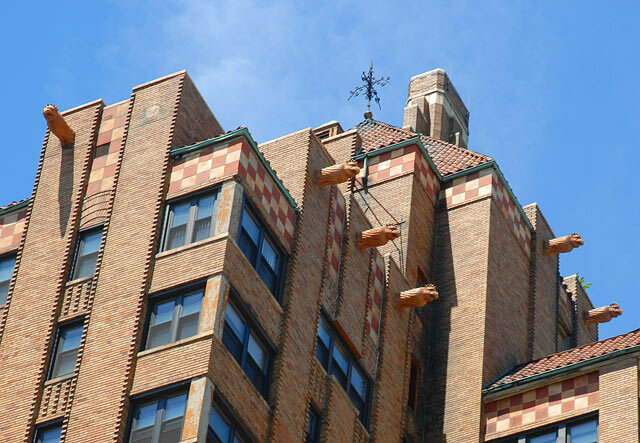 Decorative terra cotta gargoyles protrude from the top of the 14 story tile roofed building. Similar gargoyles graced the entrance of architect Charles Noble's other grand apartment building, the Lee Plaza. 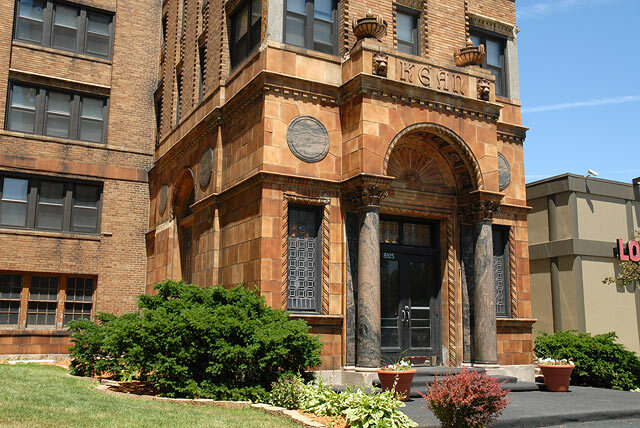 The elegant marble-columned entrance to the Kean.